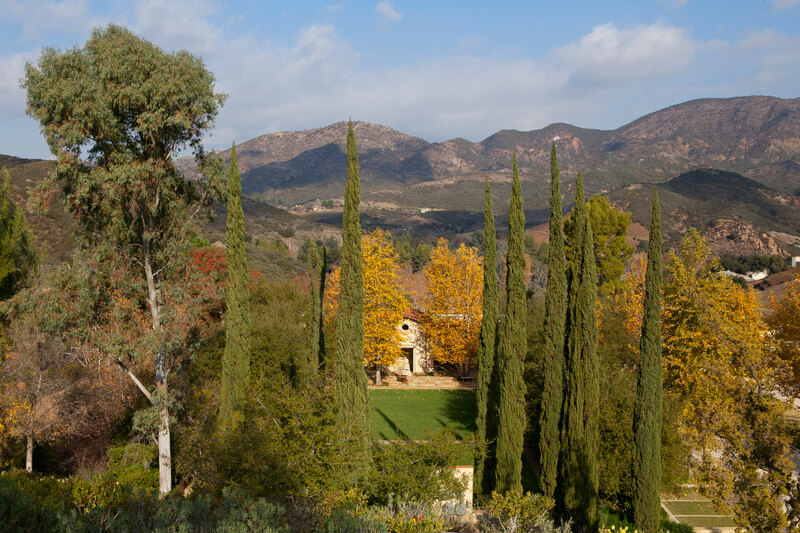 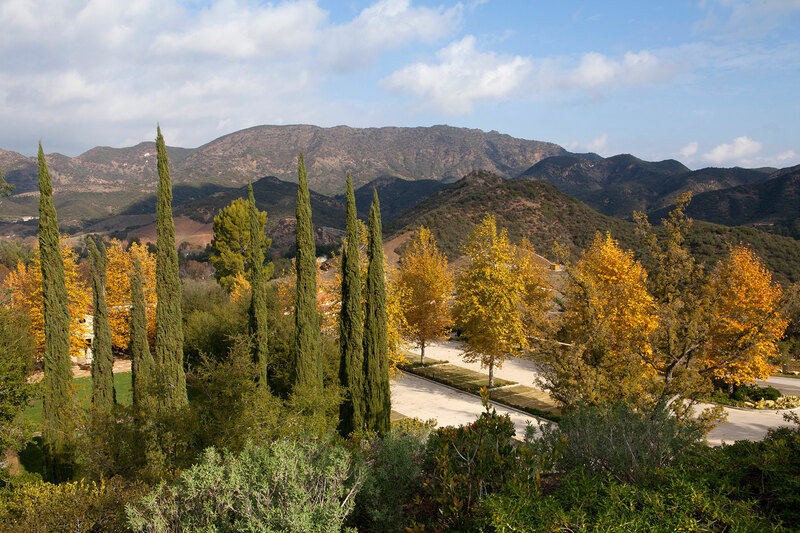 The Mission is a private chapel complex set within a secluded landscape in the Santa Monica Mountains. 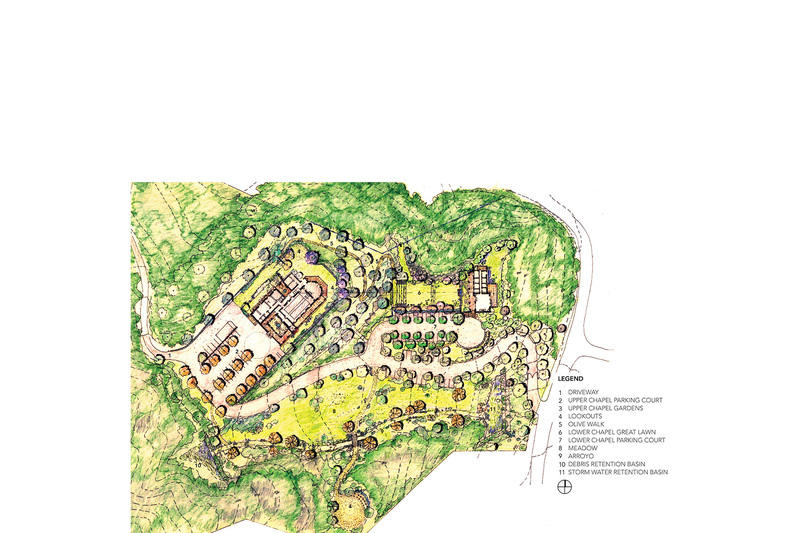 PB&Co was brought on to assist with the planning and design of this contemplative campus, programmed to provide areas of worship, meditation, ceremony, processionals, and renewal. 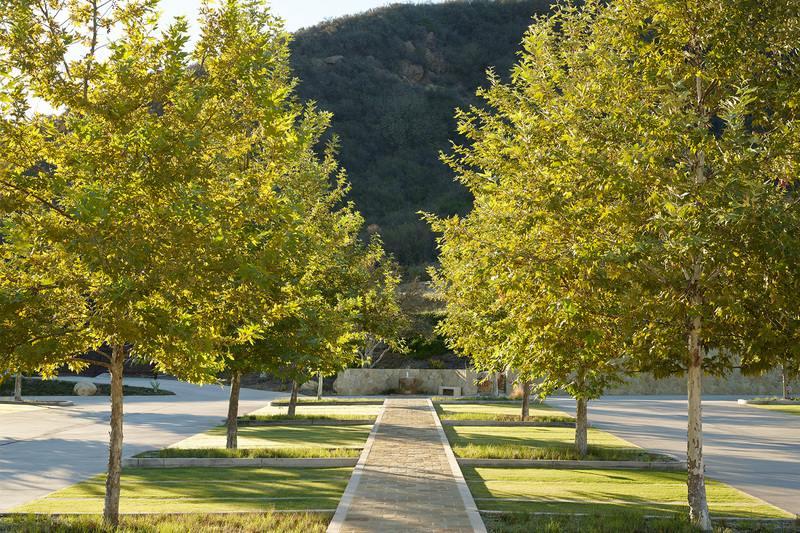 An existing chapel was renovated into an event space that invokes the memory of the former church with its vaulted ceiling of oak tree canopies. 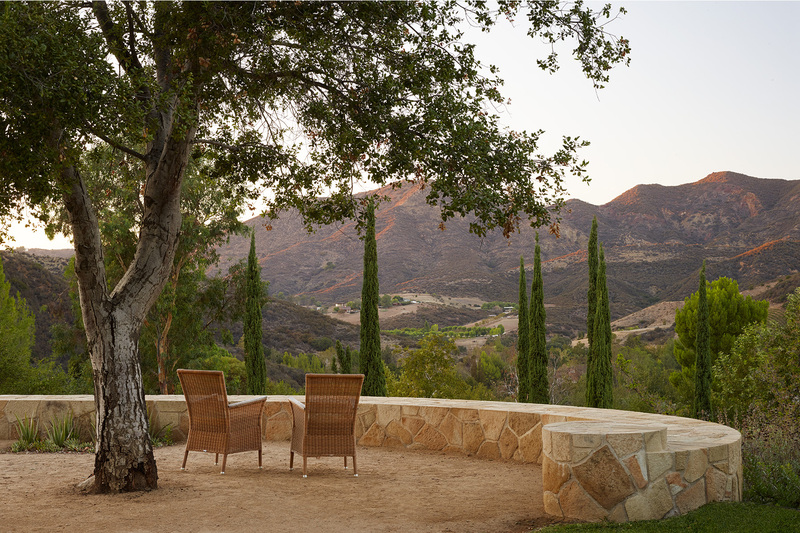 Alcoves that flank the lawn provide private spaces. 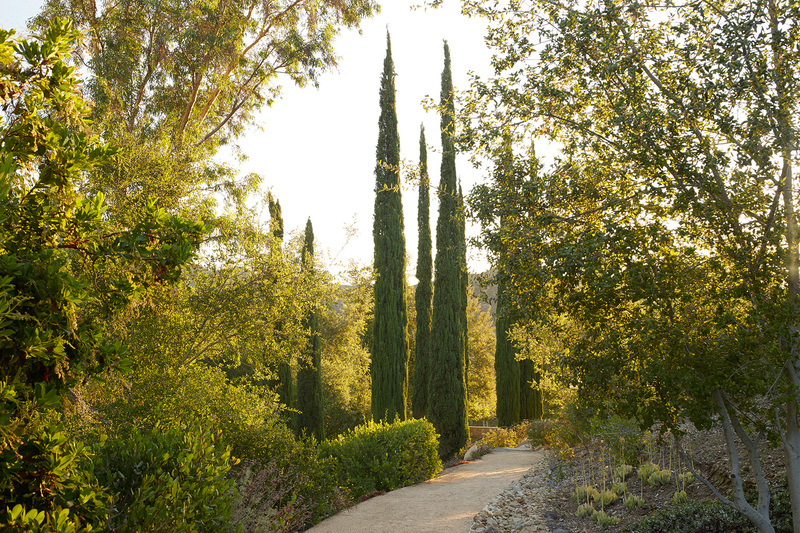 The new chapel is reminiscent of an early California mission and overlooks a landscape with gardens that can be used for quiet contemplation or large gatherings. 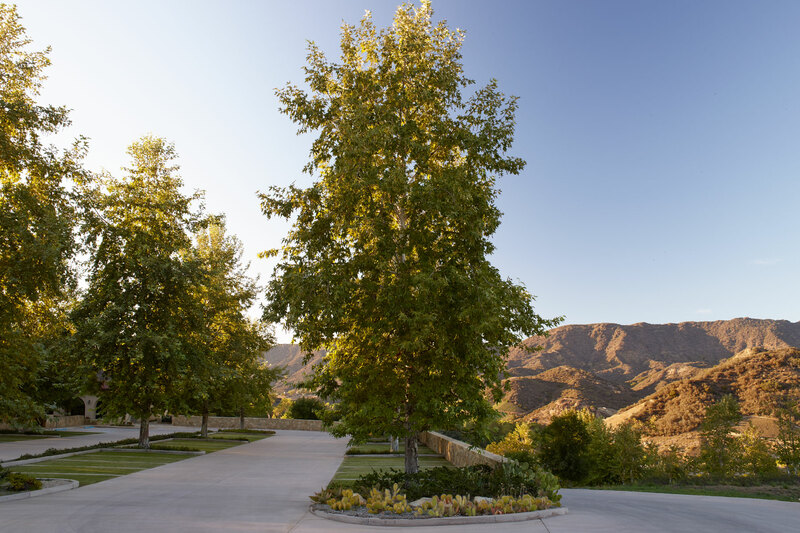 The plant palette consists of native materials and mimics the chaparral that surrounds the property. 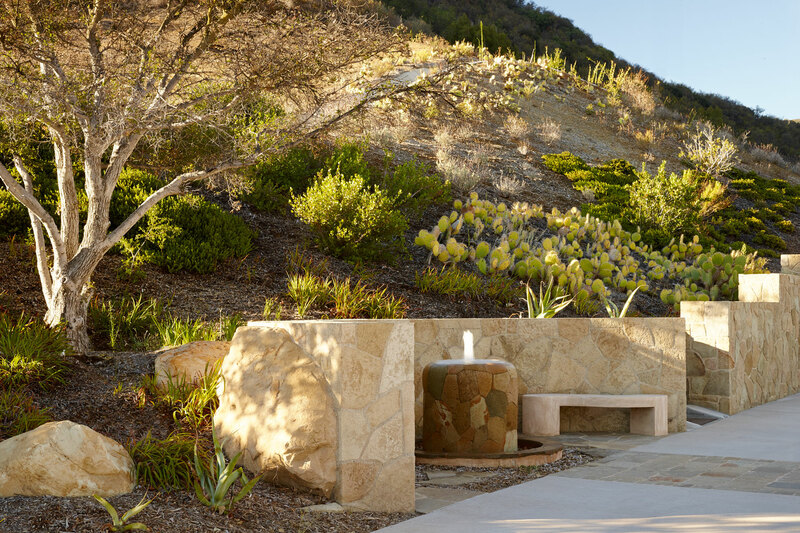 Site walls and a large entrance fountain were built using sandstone found on site to minimize the visual impact of the new construction within the natural environment. 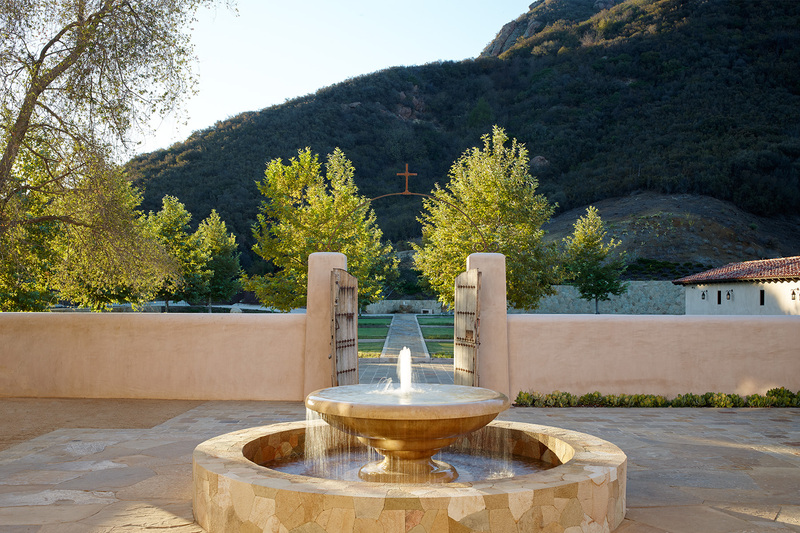 Water features embellish additional chapel gardens, providing inspiration for prayer and meditation.